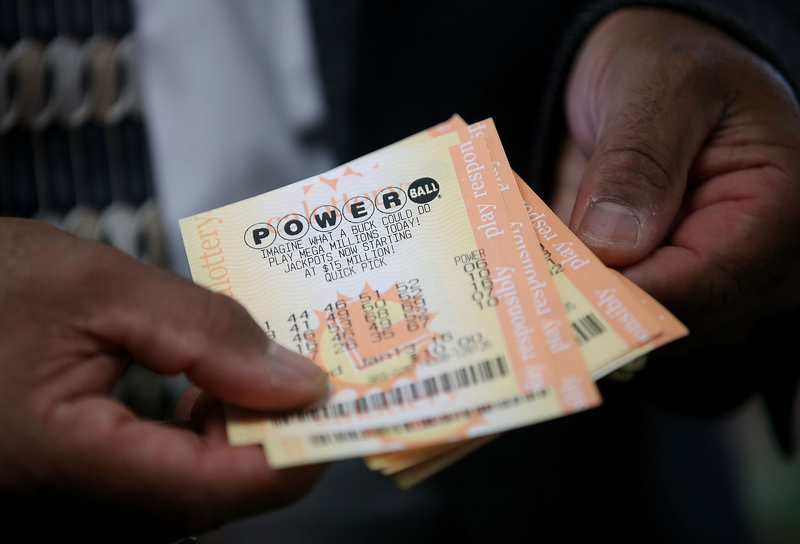 How Late Can You Buy Powerball Tickets? Guys, I like you too much to lie to you, so I have to give it to you straight: The odds that you'll win the Powerball jackpot tonight are not that great. To be more specific, your chances of winning the $1.5 billion jackpot are one in 292,201,338. For a little context here, your odds of becoming president in your lifetime are one in 10 million. Am I trying to say that becoming the leader of the free world and/or becoming ludicrously wealthy via games of chance are not worthwhile pursuits? No way — I'm just saying that we should all be informed of the odds before we embark on any endeavor, be it purchasing lottery tickets or mounting a sudden and very surprising presidential campaign. UPDATE: This post was originally published in January 2016. As of Aug. 23, 2017, the new Powerball jackpot has hit $700 million (and if there are no winners, it'll go to $1 billion). Just like always, the Powerball will be drawn at 10:59 p.m. EST. While ticket cutoffs vary state by state, assume that you need to have your ticket in hand at least one to two hours before the drawing. For those on the East Coast, that means by around 9 or 10 p.m. For those on Central Time, that means by around 8 or 9 p.m. For those in Mountain Time, by 7 or 8 p.m. And for people on the West Coast, by 6 or 7 p.m. at the latest. EARLIER: But the steep odds are no reason to not buy a ticket or 40, if you feel so moved. I mean, someone has to win, right? But if you're anything like me, you're probably going to spend the next few hours going back and forth on the issue, trying to figure out if you'd rather gamble a little or invest your money in a sure thing, like a burrito — only to run out of your house in your pajamas at the last possible second to buy a ticket tonight. With that in mind, how late can you buy Powerball tickets? The answer's a little more complicated than it would initially appear. The Powerball drawing will occur at 10:59 p.m. EST tonight, and according to Powerball.com, "Draw sales cut off at least 59 minutes before the draw, but a state may cut off sales earlier." And a brief survey of state Powerball sites shows that the cutoff times do indeed vary slightly around the country. For instance, Pennsylvania's cutoff time for buying Powerball tickets is 9:59 p.m. EST the day of the drawing, while in Arkansas, tickets can be sold until one hour before the drawing — which, since Arkansas is in the Central Time Zone, would be 8:59 p.m. Oregon Live reports that denizens of the Beaver State need to have their tickets in hand by 7 p.m. PST, and folks from Illinois need to have their tickets purchased by 9 p.m. CST. In my state of residence, New York, you can buy tickets until 10 p.m. EST (which means I need to get it together and decide how much of my burrito money I'm willing to dip into for this very soon). Knowing the time at which your state cuts off ticket sales can help you avoid long lines filled with other folks who left it to the last second, but it can also help ensure that if you win, you'll actually get the money. There have in fact been past lottery winners who were disqualified after it was discovered that they purchased their winning ticket after the sales deadline. In 2013, a California woman found that she had bought a Powerball ticket with all the winning numbers, but further investigation showed that she had done so after sales for that drawing had closed. In 2008, a Canadian man named Joel Ifergan purchased a lottery ticket with winning numbers, but was disqualified from claiming any of the jackpot after it was learned he had purchased his ticket seven seconds after the sales cut off. So while regulations obviously vary in different states and countries, it is clear that lotto officials take timing seriously. If you're gonna play, it pays to know the rules. So go forth and play if you wish! And remember: No matter what happens tonight, you're still a winner to me! But also, if you do win, I have to talk to you about possibly donating some cash for my extremely pressing burrito research.